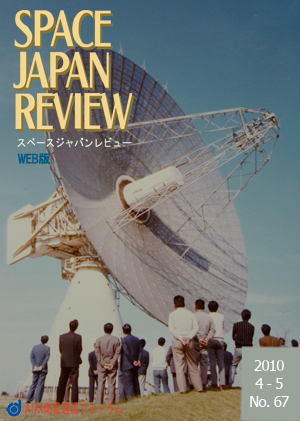 Farewell to the 30-meter-in-diameter antenna in 1975 at Kashima Branch of Radio Research Laboratories. USEF, Institute for Unmanned Space Experiment Free Flyer was established in 1986 under auspices of Ministry of International Trade and Industry (presently METI: Ministry of Economy, Trade and Industry). It is a government funded non-profit organization in order to promote Japanese space industry's competitiveness. This article describes the feature of USEF and explains the various space programs which USEF have conducted in the past, together with future programs which is being planned. New communication network service is developed using the original advantage as the space infrastructure. Review by the Chief Editor, under construction!